Transformation. It’s here, inside of you. Can you feel it? Is it knocking loudly or whispering? I find that if I can attend to the whispering I usually don’t end up with as many hard knocks! But life forms as the most beneficial for your Ascension and rather than resist the hard knocks (which is a perspective), your work is to flow as easily as possible with the changes and appreciate the transformation in whatever way it comes. That can be challenging sometimes, especially if you’re dealing with consistent physical or emotional pain. Yet your work is to shift into a perspective that begins to build new form. It’s not the popular process. It’s not the easiest process since it requires trust, patience and not controlling outcomes or others. We are constantly balancing our internal perspective to an open, yet focused beam of Loving Light. That takes fortitude when you see all that is going on around you in the world. Yet something is brewing within. You. Now that April is completing (whew! ), I am getting the image of a mirror. It had a lot of fire energy and enhanced a deep, fire-rapid process of inner work as the chaos of the outside world reached a crescendo. The Aries energy was strong! You’ve heard over and over that you create your reality. Then you see what’s going on outside and you wonder how that correlates with you. It doesn’t seem effective to stay loving and joyful when bombs are going off. Yet that mirror is asking, what bombs are going off in you that need some attention? The Scorpio eclipse near the end of April began a series of three. Scorpio goes deep, and with Saturn retrograde in Scorpio we are integrating some profound change! Scorpio is the fiery water sign (it used to be ruled by Mars before its present day Pluto) that does. not. back. down. With the Aries fire of April (another Mars energy that does. not. back. down. ), that brought up some entrenched battles within (“how about a little fire, scarecrow!”). I personally found childhood wounds surfacing that opened an inner reconnection to some core perceptions of human life. Thank you, April! That mirror imagery will continue to reflect change into May. Our Ascension is still at hand (or head?! Or heart?! ), which is merely rapid evolution. All year we have been called to our empowerment through the experiences that we have in our life and that we view in the world around us. One of the strongest energies I feel coming up this month is Trust. You must cultivate Trust in yourself most importantly. In this age of information we can be bombarded by opinions, propaganda, misinformation (or even disinformation) and fear-based, ego-based drivel. Of course there is good information out there; but to find it Trusting yourself and your discernment is important. 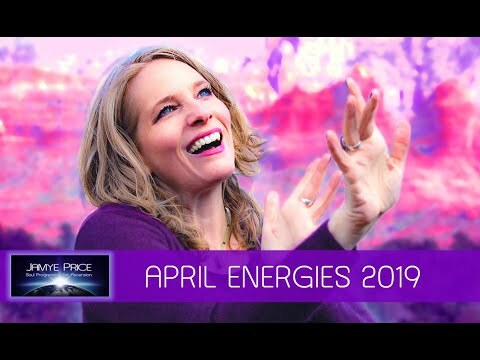 Last month there was the energy of not giving up Hope (the Monthly Energies teleclass download is on sale through May). It makes sense to me that Trust comes up this month as I feel it is the next step when you maintain Hope. Trust that improvement is on the way. Trust that you are capable. Trust that Life supports you. Trust is the precursor to Knowing. When you Trust yourself, you are able to traverse Life with greater ease. Trust that all is well even though there is currently struggle in the world that is catalyzing (albeit slow) change. Trust yourself to discern the Truth, for it is IN YOU. I said last year that the 2012 gateway was going to shift our brain functionality (among other things). That is finally becoming obvious! The other main shift I see in May is the ‘glass breaking.’ Let’s talk about that one first. That can mean different things to different people, so meditate on what it means to you if you find yourself resonating with that collective energy. Of course there is the imagery of breaking through an unseen barrier. If that glass is a mirror, that becomes breaking through illusion. It can be something vague or disperse that limited you or distracted you. While we’re still going to see a lot of chaos on the world stage as dinosaur systems change, you need not become consumed by it. Hold that space of compassionate detachment and see the illusion cracking. Observe how the glass ceiling is no longer holding information back and people are starting to shift into more freedom. In some places it is a brutal experience. In others it is a merely not as loud, yet it always requires courage. The ‘glass breaking’ will also open us up to more connection with ourselves, each other and with Life. Which leads to the exciting shifts in the brain! In manyways much of humanity has been imbalanced with the brain. It is an organ of information connection and delineation. It separates us in perception of physicality (i.e. I’m a separate person than you or the tree is over there); and when used in ways that most societies devalue, it connects beyond form, time and space. It is magnificent - second only in electromagnetic force to the heart! Our brain assists the neural relay interpretations that help us function in this plane of existence. In its negative aspects it can support a destructive ego or run harmful chatter, focus and beliefs. When people become reliant on the brain, they often find themselves in overwhelming analysis paralysis. That actually separates them from vast amounts of information that can only be accessed through the connective nature of the brain. It leads to limitation that need not be. You’ve probably heard that we only use about 10% of our brain capacity. That amount increases as we open to the expansive and connective nature of meditation, visualization and Love. With these tools of connection you find a feeling of vastness that leads to an understanding of your timeless, formless nature and an appreciation of your form and time ceiling of limitation. This connection is creating more emotionally and physically potent thoughts and memories. We are becoming more able to maintain our empathic skills without overwhelm or fear. This leads to the ability to connect in to heal our deepest wounds and fears. It leads to the ability to look at the hard situations in life, even if they aren’t in your direct experience and hold a potent loving and healing solution in your powerful, non-localized mind and heart. The next big upgrade that I’m noticing is 3D holographic thoughts. I’ve noticed a distinct holographic quality to the visuals in the mind’s eye. This helps us to visualize in a more ‘life-like’ manner, decreasing the separation between thoughts and ‘life out there.’ As humanity is opening their minds to the power of thoughts on a larger scale, we are reaching a hundredth monkey effect of thought power. 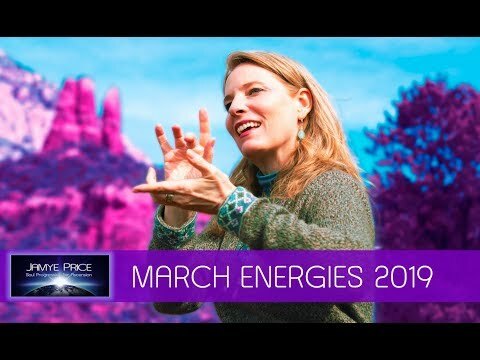 This holographic nature is opening us to many characteristics of life, like personal universal connection, time-line/parallel reality access, increased manifestation and collection unification. While there are people (lots of children!) with amazing brain capacities that far exceed these examples, this is a collective shift that is beginning to be available to the many. It is very exciting! We’ve had many examples of some of the different capabilities of the brain. Many beautiful souls have come into human form and been labeled autistic only to reveal astounding brain capacity. Our artists, prodigies and others exhibit capabilities that many view as miraculous or sometimes even crazy, and yet they are examples of an extreme that the brain has access to. Are you noticing your shifts? Are you doing the inner work of releasing the glass-like wounds that separate while the mind convinces you that you can see clearly? Are you using your thoughts to connect with the unseen, unformed and malleable quantum nature of form forming? Transformation is still here and it is intensifying. Bless that compression of Saturn that combusts us into expansion. Embrace that sweet Pluto plumbing the darkest of places. And cheer those abrupt changes that Uranus will push forth as we form the new form of freedom. It’s a process of steps. Your mind focus and your heart connection leads your way. May you enjoy the exhilarating path!